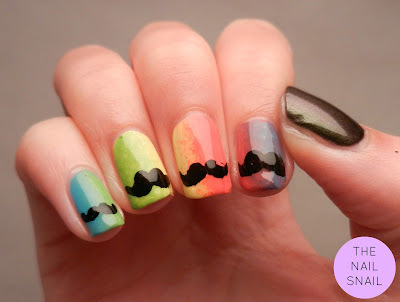 I love the mustaches, they're so cute! Thanks :) Glad you agree! 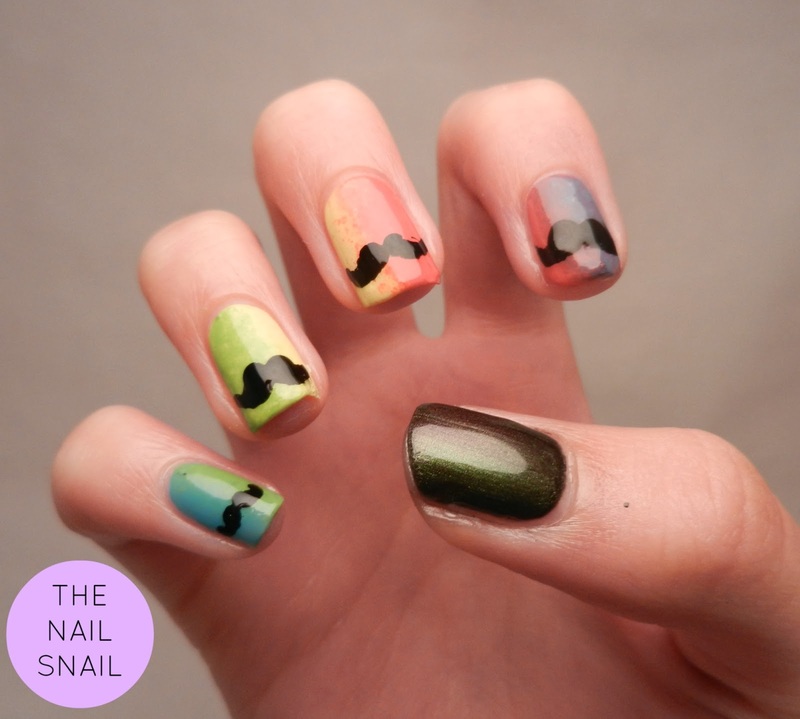 Super cute over the rainbow gradient! 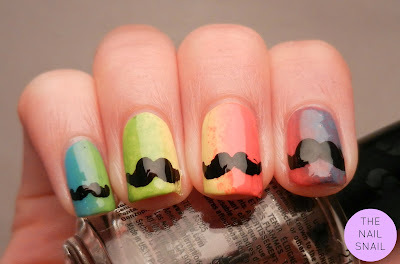 Love the sideways gradient & these are so cute! these came out great! LOVE that you did them over rainbow! I just LOOOVE this manicure! The rainbow is so cool, and your duochrome polish is stunning.